S is for September, School and fresh Start! In case you missed it, here is my September 2016 Newsletters full of paper, leather and laundry lint ideas for the other New Year. Missing deadlines: it’s never too late! Right before Christmas I sent out one last newsletter for 2015… about procrastinating, and how it wasn’t too late to buy last minute gifts. Then I discovered that because of some technical glitch more than half my emails were never sent! By the time I fixed the problem, the dreaded Christmas deadline was past, and my newsletter served as a stark reminder that if you procrastinate too much… well, you might be missing deadlines! 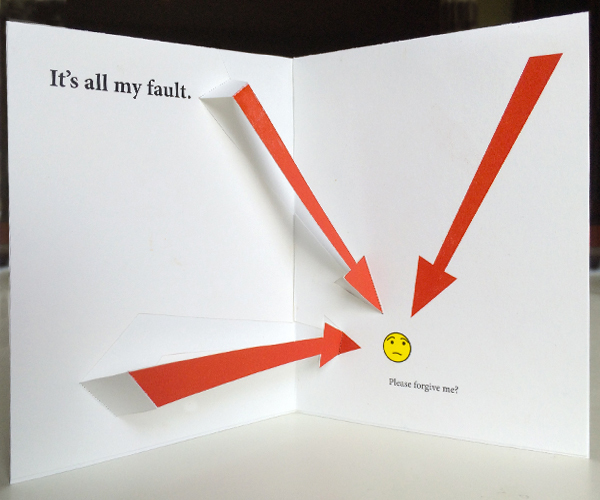 If you missed yours, I have a perfect apology card for you! This newsletter also features a brand new Mother and Child pop-up card design. One of the most interesting parts of sharing paper projects is learning about my visitors. Who loves paper craft? It turns out pop-up cards have a very broad appeal! 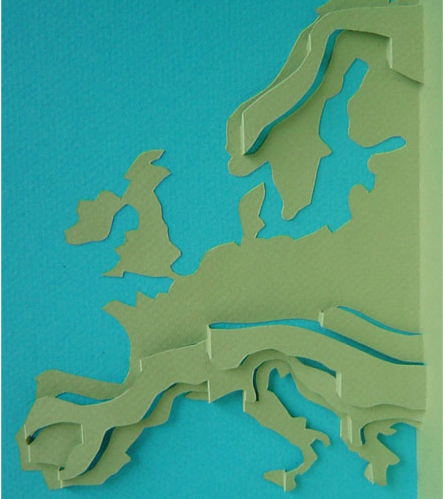 Lots of teachers use my work to engage their students of all ages, but other trends can be eye opening: a Facebook campaign revealed that paper craft has a stronger appeal to men in the Middle East (United Arab Emirates and Saudi Arabia in particular) than to women in the United Kingdom. Given the huge number of Facebook craft groups composed almost exclusively of UK ladies, this was a huge surprise! Lots of news and new designs in my latest Mother’s Day newsletter! I made FREE even better by making it easier to download… and I designed a new “Thank You” card to give to the generous souls who decide to name their price and support my work. For the moms in your life, I posted a new pedicure gift certificate pop-up card, plus the peaceful image family of four walking their dog — who pop-up from a single sheet of paper! Finally, I compiled a list of books and tools for those who want to learn more about paper engineering and papercraft. This October newsletter is full of Halloween ideas, new designs and videos. Send a card with a spooky pop-up cat, make a mask using a very simple template, check out my instructable with tips for making costumes, or just watch the new videos I’ve posted.